There's no music during the closing credits of La Fille Inconnue by the Dardenne brothers. Only the lancinant noise of cars driving by on a slightly wet road on a gray day in Lièges. There's nothing to it. A car and then nothing. Another car and again nothing. Someone going somewhere. How come then, that it's the most touching scene of the movie? It's because the Dardenne brothers are virtuosi at showing the inner guts of an insignificant moment. They tell us a plain story, with plain people, busy with their tough routines. Trying to get by. The movie centers on a murder and feels like a thriller. Yet, when the doctor (played by the talented Adèle Haenel) finally learns the truth she was so determined to find and reaches some emotional release, she immediately has to take care of an old patient waiting for her. She helps her walk down the stairs, painfully slowly. 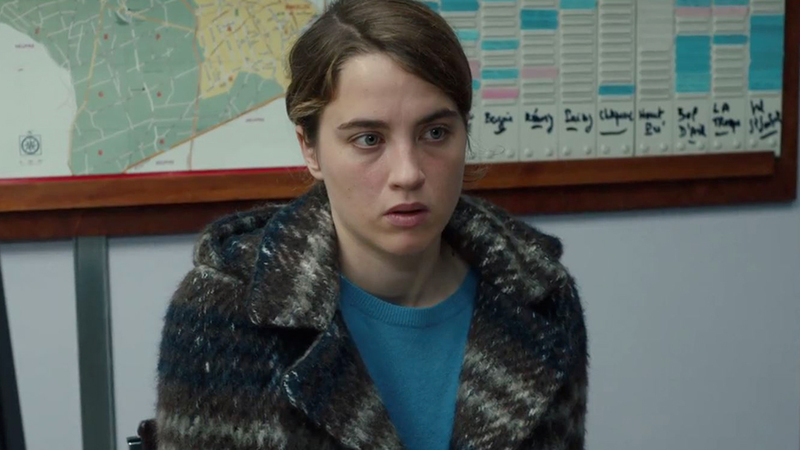 That's when the genius of the Dardenne brothers strikes you: they show you an anodine moment like we all experience and reveal its unbelievable beauty. The beauty emerges from the emotions that our imagination inhales on the moment. Cézanne used to say "La nature est à l'intérieur" (Nature is inside). The Dardenne brothers show that time too is inside. The superficial boredom of their scenes, mostly consisting of uninspired interactions between uninspired people, dissimulates a radical focus on raw poetry. A comment on the editing. The cuts are sometimes pretty brutal. The doctor is walking across her office and suddenly she's sitting in a police station. Often there are several seconds before the dialogue, which we catch in the middle, moves forward. The physical movement before the cut is still present in our mind after the cut, and makes us feel the inner turmoil of the character. Le Fille Inconnue was in competition at the 2016 Cannes Film Festival. Find it on the French iTunes!